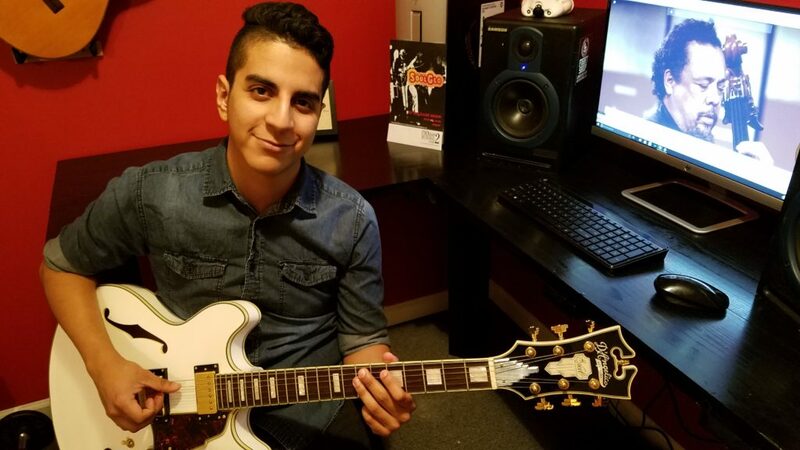 “Music is not what I do, it’s who I am.” Issac Hernandez first picked up the guitar at age 12 and began with traditional Mexican ballads that he heard his grandfather play on the Spanish Guitar. However, it wasn’t until the day he heard the screaming sounds of the blues and rock that his musical world expanded! Inspired by a diverse collection of musical influences such as Howling Wolf, Jack White, Led Zeppelin, Jimi Hendrix, Issac continues to strive to master music like one of the greats. Currently Issac studies jazz at City College of New York and teaches at our NYC Guitar School! His teaching philosophy is centered around holding his students to their highest possibilities while creating a fun and interactive learning environment.